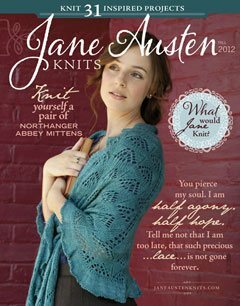 Have you seen the fall issue of Jane Austen Knits? My copy arrived in the mail yesterday, and I think it is the most beautiful issue yet. Can you believe this is the third one already? My favorite photographs are of these three sisters having a tea party picnic. The baby in her bonnet is so adorable- I think I may just implode from the cuteness! 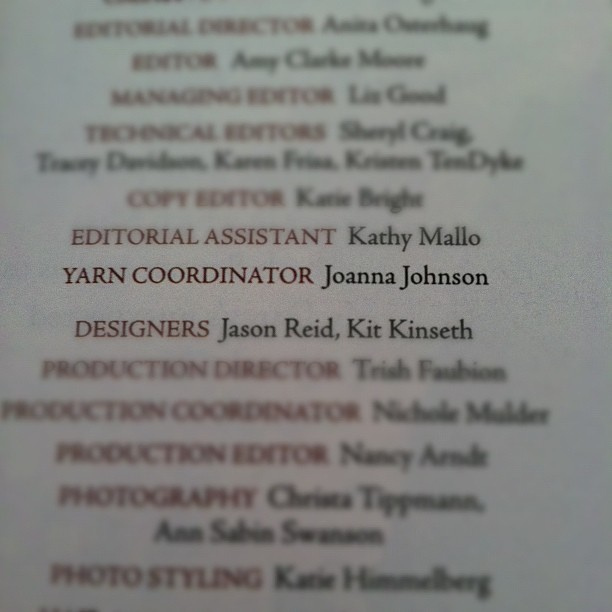 Although I don't have any patterns in this particular issue, I did have a hand in it. 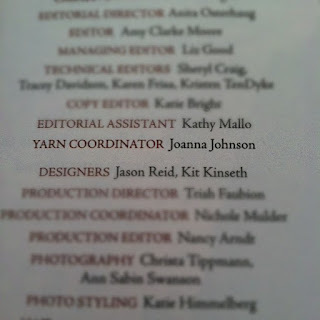 (I am still holding out hope to see my name next to "yarn wrangler" some day... but for now, "yarn coordinator" suits just fine.) 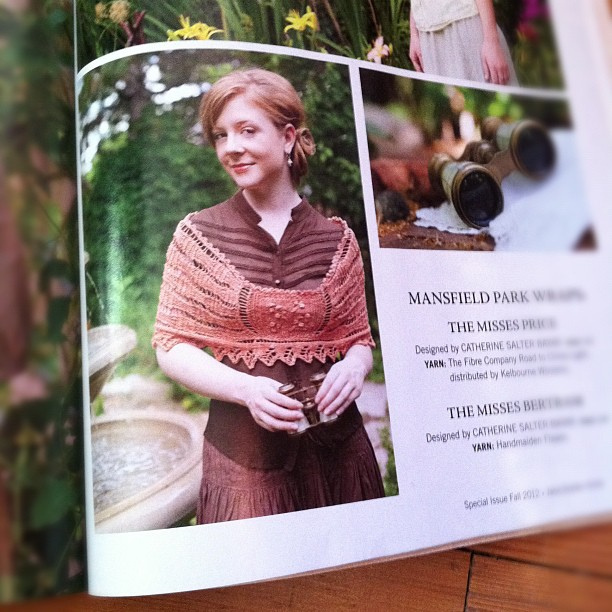 It was a delight to work with the team of editors, designers, and yarn companies on this publication. 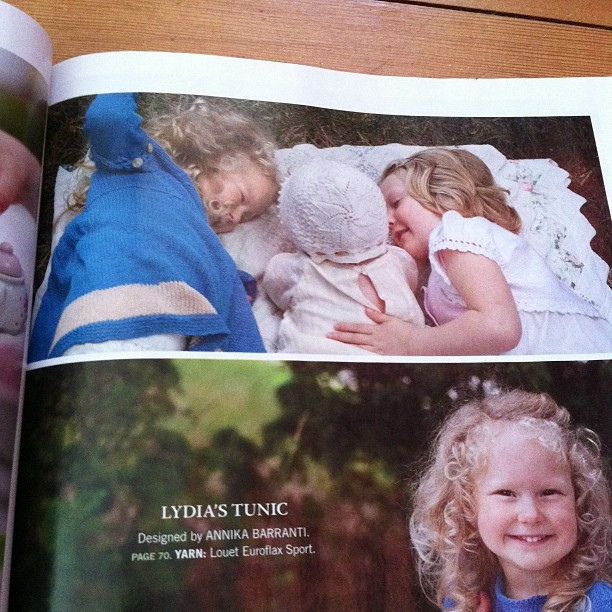 Christa did an amazing job at the photo shoots, as did the stylist and the models. I love the collection of patterns featured in this new issue, but I think that the Misses Bertram Wrap by Catherine Salter Bayar, worked in Handmaiden Flaxen, has captured my fancy more than any other. It is hard to keep up, isn't it? My queue is just completely unrealistic at this point, but that is okay, right? There are SO many wonderful patterns in this issue - and the photography and styling - oof! - FABULOUS.